How is FRP Pipe patched? When repairing, first remove the damaged FRP Pipe parts. If the steel parts are finished, remove the rust, clean and dry. If the plastic is firstly restored by gluing or heat welding (without considering the strength), then it can be repaired and strengthened by cleaning and drying. First, the glass fiber cloth is first cut according to the general shape of the workpiece (should be slightly larger than the workpiece, then remove the wax (can also be removed after removing the wax). Under the amateur conditions, the baking method can be used to remove the wax. Find a 500-1000W electric furnace. After the electricity is red and hot, put the glass cloth on the grill and not smoke (single layer baking, do not fold). Second, after the glass cloth is finished, the glue can be prepared. There are many kinds of glue liquid formulas. Under the amateur conditions, the epoxy resin and the polyamide resin are generally used in a ratio of 1:1. The characteristics of this formula are that the ratio is not strict, the curing time is long, and the long curing time can be used for a comfortable operation time (some formulations have a curing time of only 30 minutes, which will make the beginners unprepared). Preparation method: First two resins Pour into a wide-mouth container at a ratio of 1:1 and mix well with a stick. If it feels too thick when stirring, add some water or acetone to dilute. The consistency is generally good by lifting the stick without drawing. (Be sure to stir evenly, don't overdo it too much, just enough to run out. If you don't estimate it, don't be too much, because it will cure itself after a period of time, causing waste). Third, with the glue, you can enter the paste work. First brush the glue on the inner surface of the workpiece with a brush (the kind used for brushing the bristles), then press the cut glass cloth on the rubber surface, press it gently with a brush to make it fit and let The glue penetrates the glass cloth; the first layer of glass cloth is infiltrated and then coated with a second layer of glue, and a second layer of glass cloth is attached. When you are smearing, you should consider the installation space and other factors, otherwise it will be too thick to be installed. 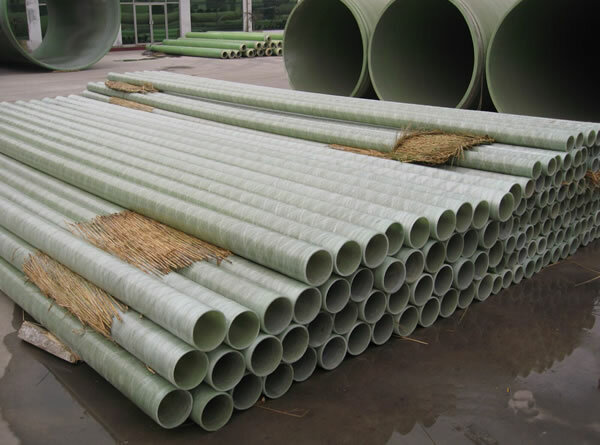 After the FRP Pipe is finished, you can find a safe place to let it cure naturally, but it takes a long time (depending on the temperature, it takes 2-7 days, the higher the temperature, the shorter the curing time). Or bake in a paint room at 120 degrees for 2-4 hours. It can also be placed in a higher temperature to accelerate the curing, but it can't be baked with an open flame. After it is cured, trim the burr and open the hole according to the position of the original hole. After the putty is applied to the place where the appearance is affected, the repair is completed. Prev : What is the difference between alkali and alkali in FRP Pipe?